Rubber powder brushing machine is suitable for powder on rubber sheet after rubber sheeting machine. 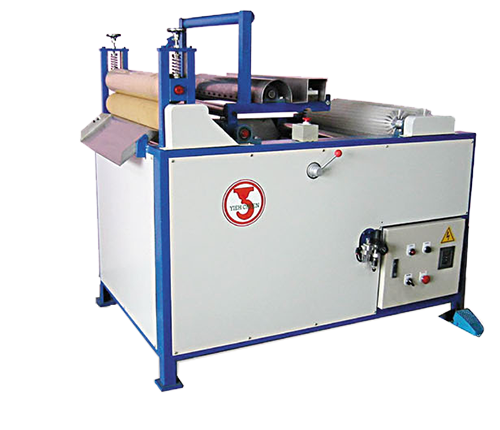 When the rubber sheet is cooled by chilled water, remove the water that has accumulated on the surface, then apply this machine for brushing powder on the sheet surface. To prevents non-vulcanized rubber sheets from sticking together when stacking, reducing the possibility of deterioration, and improving the quality of the environment. The machine adopt DC motor or inverter controlled AC motor, providing variable speed adjustment with maximum speed up to 28 M/min. The machine can be designed for matching cooling tank and customer demand.